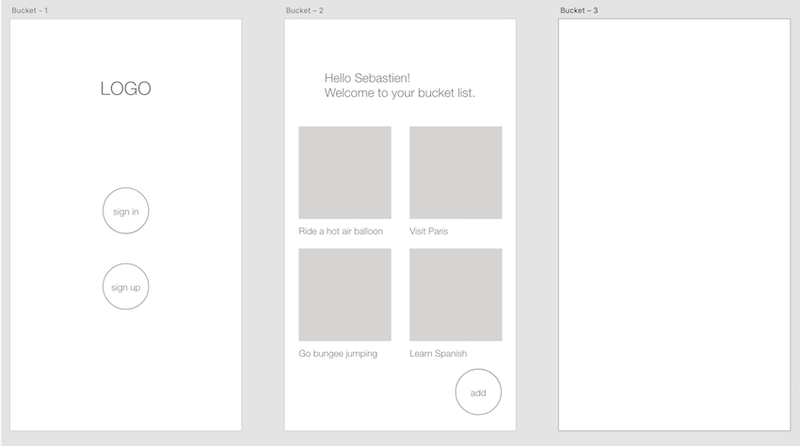 Bucket is a hypothetical mobile app for keeping track of one’s, as the name suggests, “bucket list”. I designed these wireframes as an example for my Envato Tutsplus tutorials on using Adobe Experience Designer. Bucket allows a user to add and remove items from their bucket list. Whether it’s bungee jumping or visiting Paris, Bucket lets you keep track of your most important life goals.